Our highly effective Liquid Ethyl Acetate is widely used in various industries for several applications. 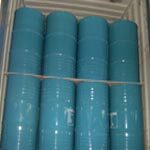 We are well reckoned as the prime Ethyl Acetate Exporter and one of the leading Suppliers of the same. 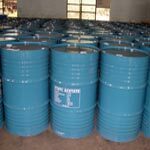 Ethyl Acetate Chemical offered by us is strictly tested for physical and chemical properties before dispatching to the clients. Synonyms : Acetic Ether, Acetic ester, Vinegar Naptha. Printing Inks, Paints & Coatings, laminates, Flexible Packaging, Aluminum Foil, Pesticide, General Solvent in coatings & Plastics, Organic Synthesis, Smokeless Powders, Pharmaceuticals.